Happy Wednesday. As we celebrate the Passion Week and celebrate Resurrection Sunday, I created one project for two DT assignments that fell on the same day. This project is for For Fun Challenges and for my last project at Cooking With Cricut. Yes that's right. 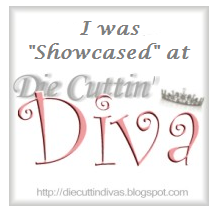 I'm no longer on the Cooking With Cricut team. BUT...Melin couldn't get rid of me that easy. I'm now on her Design Team at PaperCraftingWorld.com so be on the lookout for plenty of projects coming in the next few months. So for today, I wanted to create a card that celebrated Easter or as I call it...Resurrection Sunday! 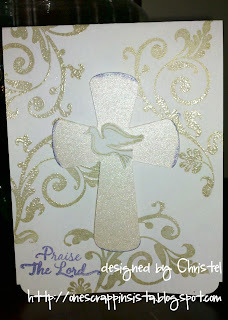 Here is my card that is created with simple flourish stamps, a dove stamp, and cuts from the Wedding Cricut cartridge. I hope you like this card. Please know that as we celebrate Easter we are able to do so because he didn't stay dead! Why do you look for the living among the dead? He's alive!!! Hallelujah! That's the best news I've heard all week. 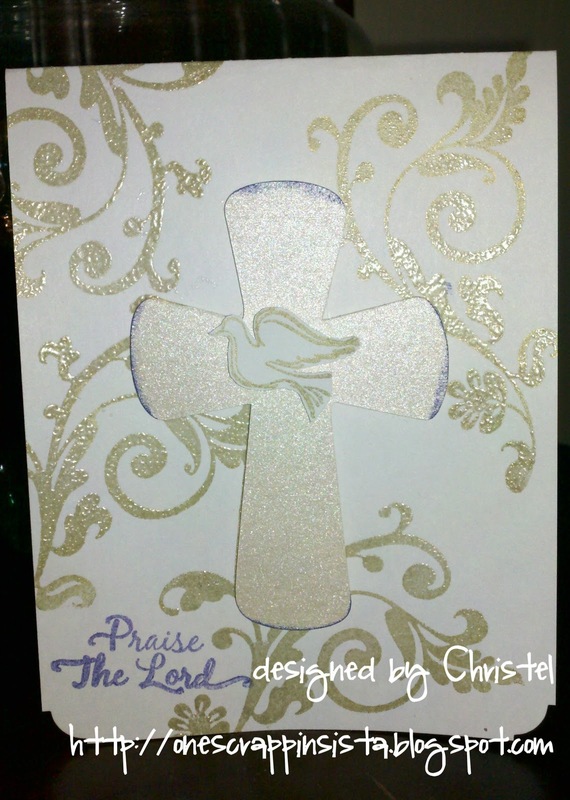 Beautiful card, Christel! I'm going to miss you at CWC, but I'm glad you're going to be a part of Melin's new venture with Paper Crafting World! He is risen! He is risen, indeed! Hope you have a wonderful Easter. oh wow such a beautiful card... I love it.